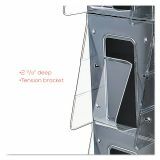 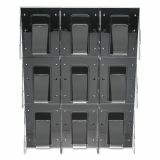 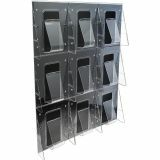 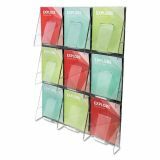 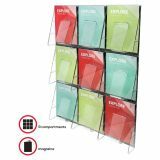 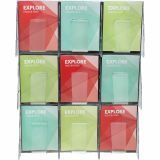 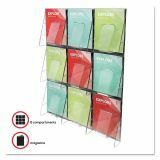 deflecto Stand-Tall 9-Bin Wall-Mount Literature Rack, Mag, 27 3/8 x 35 1/4, Clear/Black - Wall-mountable literature rack offers nine magazine-size pockets arranged in three rows for easy access for your visitors. 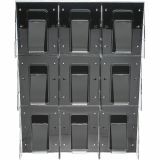 Exclusive, Stand-Tall, break-resistant pockets are attached to a black plastic panel. 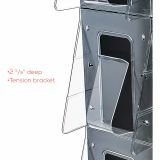 High-tension, spring-action bracket keeps literature upright. 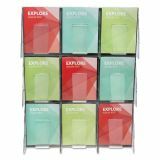 With a 2-5/8 capacity, each clear pocket holds a large stack of literature. Pre-assembled literature rack includes mounting hardware."